Are you planning to visit Machu Picchu? Do not wait to get to Cusco (Peru) to enjoy and learn about the Wonder of the World. Start with one of the 10 best books about the Inca City that we have selected: books for children, informative guides, fictions and even historical research. Do you plan to do the Inca Trail? 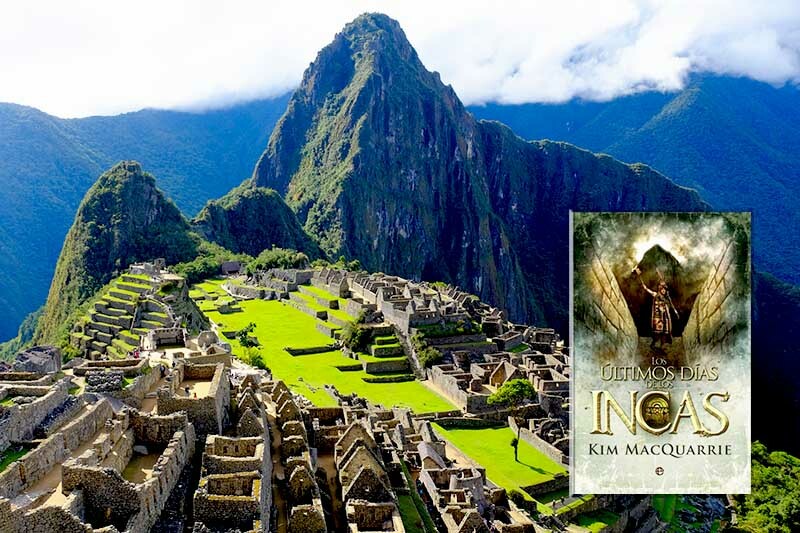 The book The Inca Trail: Cusco and Machu Picchu (The Inca Trail, Cusco & Machu Picchu, in English), is a complete guide on the history and meaning of this important Inca trail. The book includes maps and details about the archaeological sites that travel this journey of 4 days and 3 nights until the Wonder of the World. Author: Richard Danbury y Alexander Stewart. What were the investigations in Machu Picchu since its discovery by Hiram Bingham in 1911? In Machu Picchu: unveiling the mystery of the Incas (Machu Picchu: unveiling the mystery of the Incas, in English), two professors from Yale University describe and explain the past and present of the Inca City based on the latest discoveries. Author: Richard L. Burger y Lucy C. Salazar. Are you going to travel to Machu Picchu with children? The book The Lost City: the discovery of Machu Picchu (Lost City: Discovery of Machu Picchu, in English) is a story full of adventures for the interest of children. It is about the trip that the explorer Hiram Bingham made from Cusco to Machu Picchu in 1911. The adventure would not have been possible without a local boy who was his guide and helped him to reach the Lost City. What’s in Machu Picchu? Guide of Machu Picchu (Machu Picchu guide, in English), written by the Peruvian historian Antonio Zapata is a complete description of the architectural treasures that the Inca City encloses. The book describes sites of great importance such as the Intihuatana, the Temple of the Condor, the Main Square as well as the importance of Pachacutec, the Inca builder. What was the history that preceded the discovery of Machu Picchu? The last days of the Incas (Last Days of the Incas, in English) is a historical book that describes in a detailed and fluid way the process of Spanish invasion, Inca rebellion, until the final conquest. The last chapters are dedicated to the discovery of Machu Picchu and its subsequent fame. What was the true importance of the discovery of Machu Picchu by Hiram Bingham? The Tombs of Machu Picchu: the story of Hiram Bingham (Cradle of Gold: The Story of Hiram Bingham, a Real-Life Indiana Jones, and the Search for Machu Picchu, in English), is an adventure book that from the figure of the American explorer, describes the discovery of Machu Picchu and its subsequent consequences. What was the importance and true meaning of Machu Picchu? The prestigious Peruvian historian and anthropologist Luis Valcárcel realizes a deeper and revealing investigation about the meaning of Machu Picchu for Peru and the world. Machu Picchu: the most famous archaeological monument in Peru, is an essential book for readers who seek to deepen the Wonder of the World. What are the constructions that make up Machu Picchu and what is its importance? Guide in Machu Picchu: a self-guided tour (Machu Picchu Guidebook: A Self-Guided Tour, in English) is a book prepared by two experts on the subject. It contains images and detailed information about each site. As its name implies, it is a book as a tour guide. Author: Ruth M. Wright y Alfredo Valencia Zegarra. How to understand Machu Picchu in modernity? Address Machu Picchu (Turn Right at Machu Picchu: Rediscovering the Lost City One Step at a Time, in English) is a difficult book to classify but easy to understand about the meaning of Machu Picchu in the light of recent years. The investigations are interesting and the narrative is fun. The story ends with the name of Machu Picchu as one of the new 7 Wonders of the modern world. How to live in first person the excitement of discovering Machu Picchu? The same discoverer of Machu Picchu, the American explorer Hiram Bingham, described a synthesis of the experience lived more than a century ago in Peru in The Lost City of the Incas (Lost City of the Incas, in English). Although some notes made by the explorer are inaccurate, when reading this book, one goes into the adventure that means entering the jungle to discover the ‘Lost City of the Incas’. ← How to pay the entrance to Machu Picchu with MasterCard?